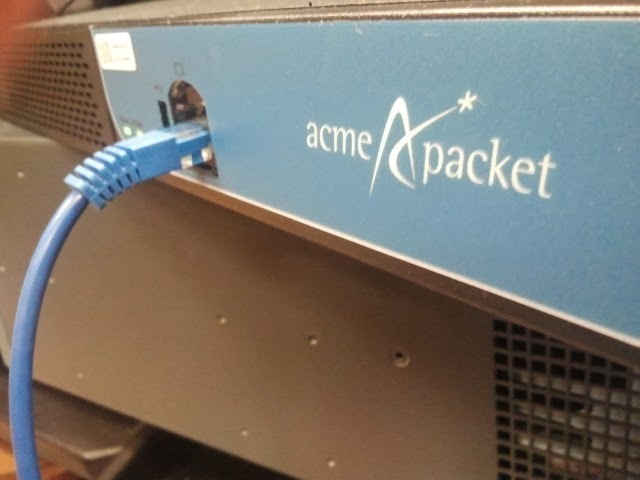 I thought, when I started working on the ACME Net-Net devices, that I could probably use a Cisco console cable and I would be just fine when trying to console into the 3820 ACMEs I have. However, that was not true. 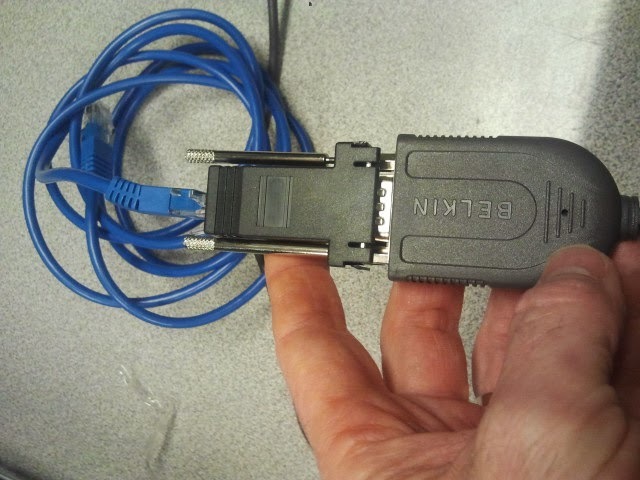 Instead of a roll over cable, which Cisco uses, I had to use a regular Cat5 patch cable to connect to their adapter that comes in the box. With that said, there are two console ports on the Net-Net. One in the front, and one in the back. The default is the one in the front (pictured below), not the back. Make sure you plug into the front, because you have to tell the ACME to use the back if you want that one.